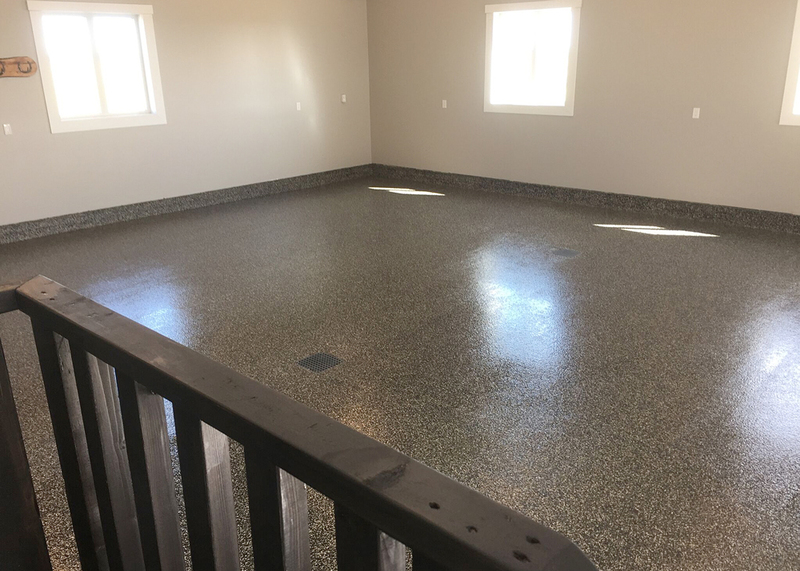 At Garage FX we work with a variety of Polyaspartic and Epoxy products to transform your ordinary wood or concrete floors. 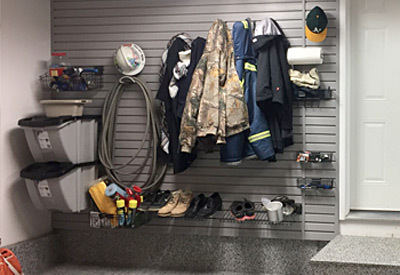 From garages, sidewalks, patios, to storage units, commercial buildings and industrial factories. 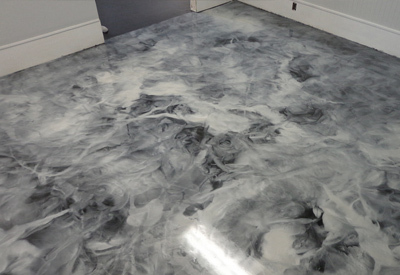 Give your floor that finished look! 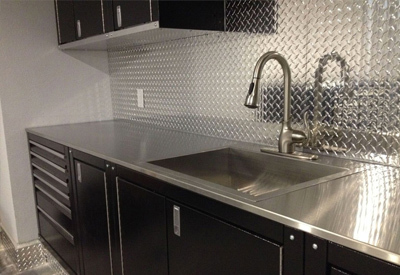 Great for showrooms & retail locations! 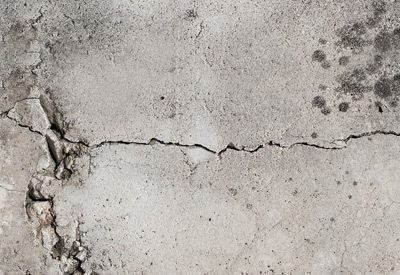 Make that old concrete like new again! 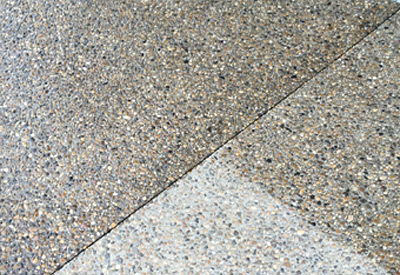 WHY CHOOSE A POLYASPARTIC FLOOR? 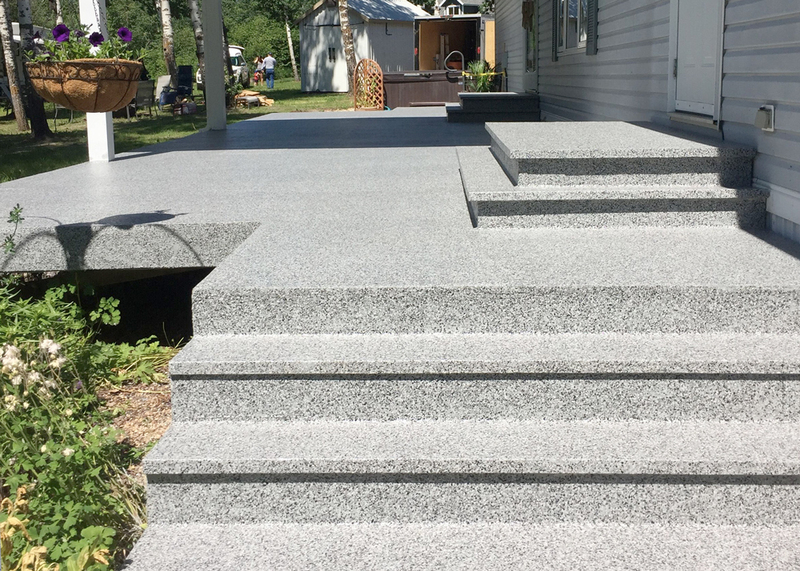 Choose from hundreds of flake colors, or create your very own using a combination of our decorative ﬂakes. We use only the highest quality flakes available on the market! 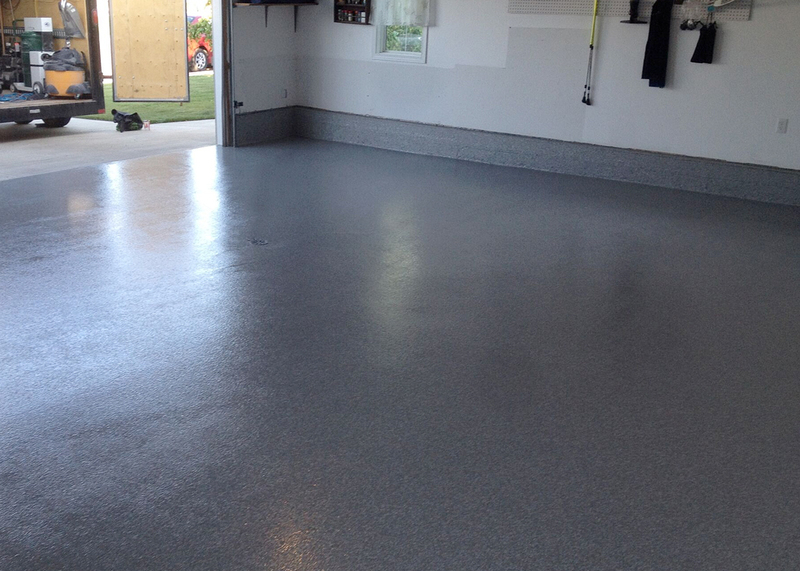 Our fast curing formula allows a rapid turn-around time and can be applied just above freezing. Under normal conditions: light foot traﬃc in 2 to 4 hours, 100% cured within 24 hours. 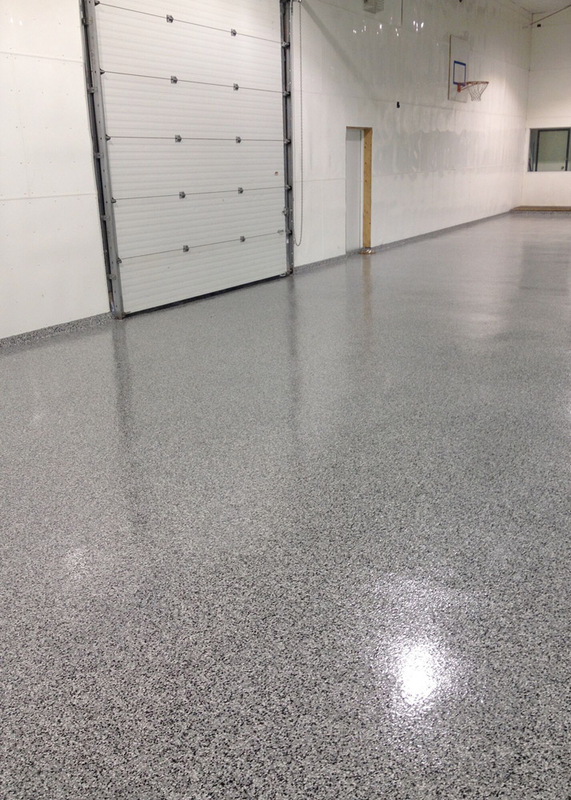 Our polyaspartic floors provide excellent abrasion & impact resistance with high gloss characteristics. 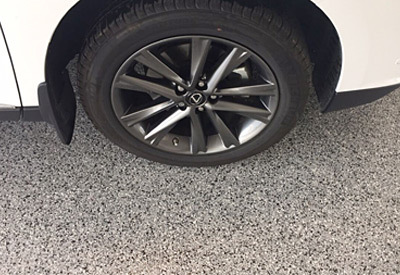 It provides excellent color stability and a resistance to hot tire peel. 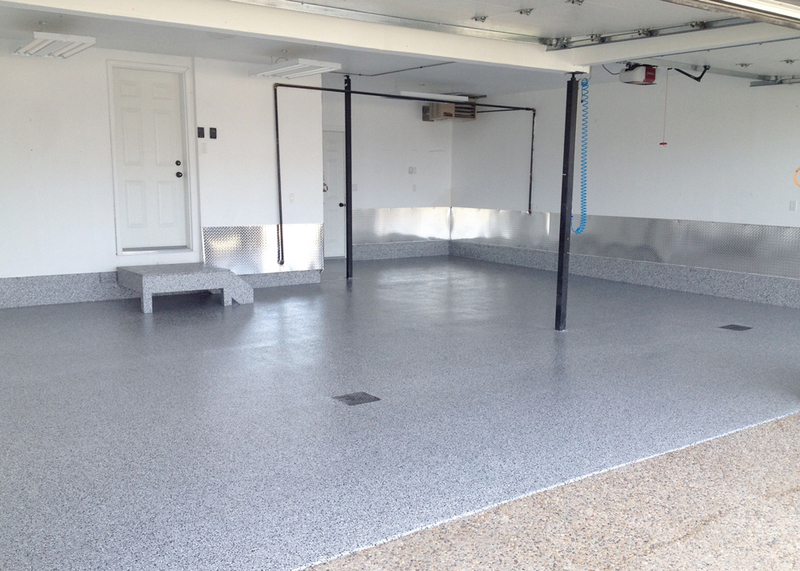 Garage-FX polyaspartic floors provide excellent chemical resistance, and quick clean up in the event of a spill. 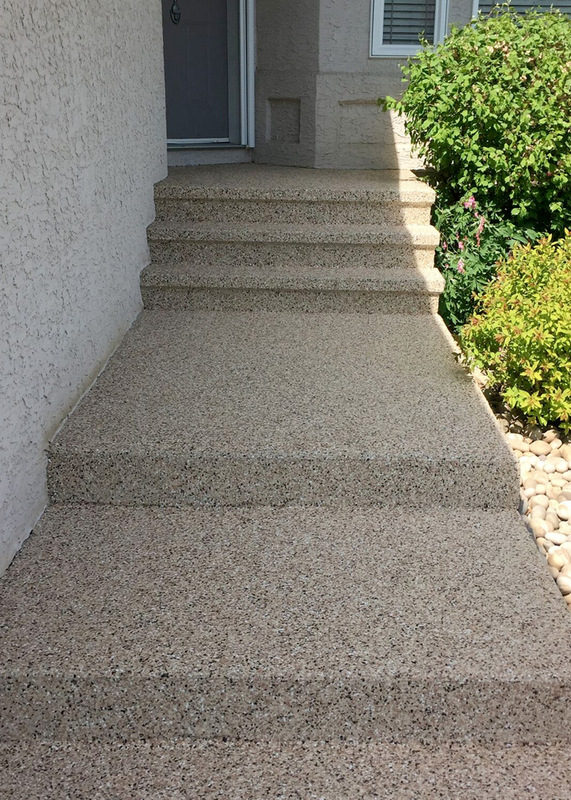 It’s also resistant to skydrol and has excellent UV resistance too! – Jerry & Debbie in Silver Springs.